✦ Artist Katy Stone paints on archival plastic film, paper, and metal. She describes her organic, visually appealing pieces as "a mass of gestures that are cut, combined, and layered into assemblages. . . evok[ing] natural forms and processes, both familiar and fantastical, the images . . . just a step away from dissolving into masses of line or shape." Take time to browse her Website (be sure to check the archive as well); I'm especially drawn to Stone's installations. Her work appears in such public spaces as Seattle, Washington's King County Correctional Facility, H2 Hotel in Healdsburg, California, and The Cosmopolitan in Las Vegas. Stone exhibited last month at Ryan Lee Gallery in New York City. Greg Kucera Gallery in Seattle, Johansson Projects in Oakland, California, and Robischon Gallery in Denver, Colorado, represent Stone. ✦ Laurie Frick, whose background includes engineering and technology, draws on neuroscience to construct her fascinating and highly intricate installations from data she collects about herself. The results are beautiful. The self-tracking artist has had numerous solo exhibitions, won a number of awards, and enjoyed residencies at the Neuroscience Research Center at the University of Texas, Yaddo, and Bemis Center. Frick gave a TED Talk, "Seeing the Hidden Language in Art", in 2013 in Austin, Texas (see video below). Don't miss her gallery of images of installations and drawings. ✦ The Public Domain Review has posted charming images from Edward Lear's Walk on a Windy Day. Also up on the site are hand-colored photographs of 19th Century Japan, culled from a series of 42 albumine prints. 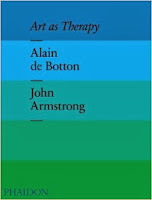 The publisher describes the book as a "passionate and persuasive argument against the most common disparaging remark leveled at modern art." Hodge examines 100 works to help you figure out what it is you've been missing while looking at abstract art. 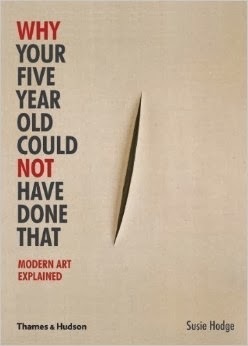 Hodge also is the author of How to Survive Modern Art (Tate, 2010), and numerous other books, including, most recently, Velazquez: Life & Works in 500 Images (Lorenz Books, 2013) and Raphael: His Life and Works in 500 Images (Lorenz Books, 2013). ✭ The work of Hsin-Hsi Chen, Lee Gainer, Yaroslav Koporulin, Beverly Ress, and Jowita Wyszomirska remains on view at Joan Hisaoka Healing Arts Gallery, Washington, D.C., through March 15. The exhibition, "A Window into the Mind's Eye", examines the artistic processes and inspirations of the featured artists' drawings. All works on display are for sale, with proceeds going to support the artists and the work of the Smith Center for Healing and the Arts with cancer patients, veterans, and members of the local community. 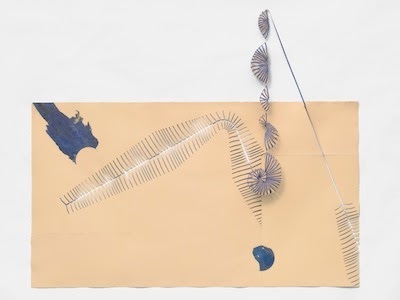 ✭ The first retrospective exhibition solely devoted to drawings by Lee Bontecou continues through May 11 at the Menil Collection in Houston, Texas. 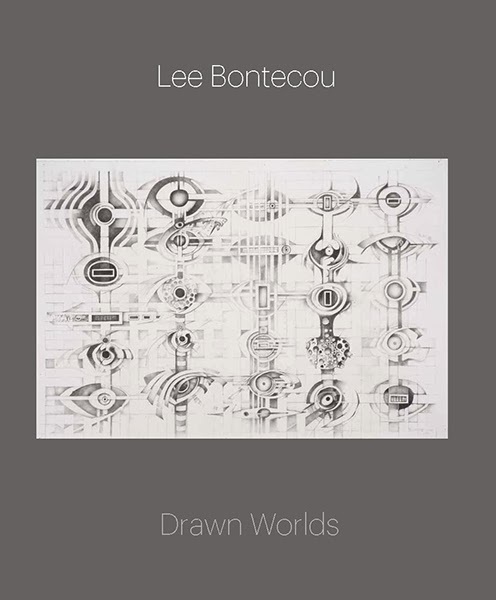 In addition to approximately 76 drawings covering five decades (1958-2012) of the artist's career, more than two dozen from private collections, "Lee Bontecou: Drawn Worlds" includes a never-before-seen sketchbook from the late 1950s. An illustrated catalogue with new essays about the artist and her drawing practice accompanies the exhibition, which travels to Princeton University Art Museum, New Jersey, June 28-September 21, 2014. ✭ There's a little more time to see "Matthew Brandt sticky/dusty/wet" at Columbus Museum of Art in Ohio. On view through March 9, the exhibition marks the Los Angeles-based photographer's first solo museum show. Brandt, who is one of Forbes's "Top 30 Under 30" in art and design, embeds in his images bubblegum, dust, honeybees, and assorted over materials. ✭ A mid-career survey, "Dear Nemesis, Nicole Eisenman 1993-2013", at Contemporary Art Museum St. Louis, features more than 120 works, from painting to printmaking to drawing by the New York City-based Eisenman, who was awarded the 2013 Carnegie Prize. The show continues through April 13. Among related program events are art talks and a poetry reading with Mary Jo Bang, Devin Johnston, and Carl Phillips (April 2). The exhibition will travel to the Institute of Contemporary Art, University of Pennsylvania, this fall. ✭ The AV Festival, the International Festival of Art, Music, and Film, opens March 1 and continues through March 31. Based in North East England, the curated, biennial festival generally takes place at more than two dozen venues and public sites, including Newcastle, Gateshead, Sunderland, and Middlesbrough, where audiences can view approximately 11 new art commissions, 36 film screenings (Wang Bing's industrial films are a focus; also included is Bill Morrison's The Miners' Hymns), 11 exhibitions, and 10 concerts or other live performances, and take part in seminars, lectures, and workshops involving approximately 140 artists. Two weekends of "Digging for Sound", are scheduled. This year's program takes as its theme "Extraction". Events are ticketed. Today at Thursday's Three you'll find a trio of art-related items. ✭ The National Museum for Women in the Arts, Washington, D.C., has digitized and made available to the public an educational resource on African-American painter, sculptor, performance artist, writer, and speaker Faith Ringgold, subject of the museum's 2013 exhibition "American People, Black Light: Faith Ringgold's Paintings of the 1960s". Created in conjunction with the exhibition, Educator's Guide: Faith Ringgold comprises digital images of and information about the artist's work, biographical information, a series of questions for discussion, worksheets and classroom activities, a glossary of art terms, movements, and historical moments, and Civil Rights Era quotations to consider Ringgold's artwork in context. The guide, which is in color, is written for K-12 teachers but also can be used by anyone seeking to learn easily about Ringgold and her work. 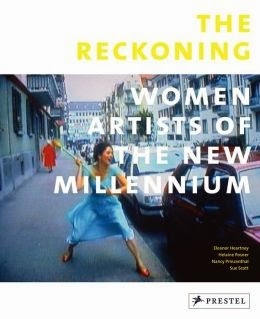 ✭ Eleanor Heartney, Helaine Posner, Nancy Princenthal, and Sue Scott have published The Reckoning: Women Artists of the New Millennium (Prestel, 2013), a follow-up to their scholarship in After the Revolution: Women who Transformed Contemporary Art (2007; Prestel, Rev. Ed., 2013). The new book details the careers of 24 women, born since 1960, whose artistic accomplishments have received international recognition. The book is arranged thematically ("Bad Girls", "History Lessons", "Spellbound", and "Domestic Disturbances") to highlight the career obstacles and conflicts women artists experience while also establishing a home, caring for a family, and enjoying a personal life. Among the contemporary artists covered in the book are Ghada Amer, Tracey Emin, Nathalie Djurberg, Lisa Yuskavage, Yael Bartana, Julie Mehretu, and Kara Walker. Eleanor Heartney is an independent cultural critic and writer based in New York City; Helaine Posner is the senior curator of contemporary art at Neuberger Museum of Art, SUNY Purchase; Nancy Princenthal, formerly a senior editor at Art in America, is now on the faculty at School of Visual Arts in New York City, where she teaches art criticism and writing in the MFA program; and Sue Scott, also based in New York City, is an independent curator and writer. ✭ SAVE THE DATE! On April 6 at 2:00 p.m., three poets will be celebrating National Poetry Month in April at the National Museum of Women in the Arts. Karren Alenier will share her ekphrastic poems about Marie Laurencin; Jo Ann Clark will read from a suite of poems titled From the Loggia of Alba Agatha Mims, which was inspired by Renee Stout's Seven Windows; and B.K. Fischer will read from St. Rage's Vault, a memoir about pregnancy in the form of poems about the visual arts, including work by Alice Bailly, Louise Nevelson, and others in the NMWA's collection. St. Rage's Vault was awarded the 2012 Washington Prize from The Word Works. The event, scheduled to run until 3:30 p.m., is free and reservations are not required. The museum is located at 1250 New York Avenue, N.W., Washington, D.C.
and you use it to stir the emotions and the human spirit. Rowan LeComte, who died February 11, 2014, was just 16 years old when he sold for $100 two drawings for production of a stained glass window for St. Dunstan's Chapel in the magnificent Washington National Cathedral. The Building Committee's approval of those drawings was the beginning of LeComte's decades-long relationship with the cathedral, where he collaborated with Dieter Goldkuhle, who fabricated LeComte's designs. LeComte created designs for more than 40 of the cathedral's 215 stained glass windows. LeComte's and Goldkuhle's close and fascinating association, which culminated with their masterpiece, Creation the Rose Window, was the subject of a wonderful documentary, Let There Be Light, by producer-director Peter Swanson. The documentary, a six-years-long effort, was awarded the 2013 "Best of the Festival" award at the Washington, D.C., Independent Film Festival. The first video below is the trailer for the film, which is narrated by Garrison Keillor. The second is an excerpt from the then-film-in-progress that highlights the work on the Rose Window. Comprising more than 10,500 pieces of stained glass, the Rose Window was dubbed by the late art and architecture critic Wolf Von Eckardt "a glorious hallejujah in colored light". LeComte will be missed. He leaves behind a legacy of wonder. on the soles of her shoes. Yessir! it's time to rock and roll. This poem owes its existence to titles of Rock-and-Roll songs. The titles are, in order of appearance: Forever in Blue Jeans (Neil Diamond), Go-Go Boots (Drive-By Truckers), Headband (B.o.B. ), Slit Skirts (Pete Townshend), Cheap Sunglasses (ZZ Top), Kid Gloves (Marmaduke Duke), Black Furs (Judie Tzuke), Diamonds on the Soles of Her Shoes (Paul Simon), Ruby Puts Her Red Dress On (Joel Crouse), Every Sucker in a 3-Piece (Van Halen), Rock and Roll (Led Zeppelin). I wrote this originally for TweetSpeakPoetry's fun July 2013 theme, "Rock and Roll". toward making sense of our lives? While doing some research, I serendipitously came across "ConTEXTure: A Conversation Between Artists in Two Forms". Comprising more than 30 "companion pieces", which were exhibited in 2010 at The Dennos Museum Center, Traverse City, Michigan, the project "pushes the limits of language and image", opening each artist to new possibilities of expression. This project was not the first in which Brown has collaborated with another artist. She also wrote a series of poems, "Einstein on Mercer Street", commissioned by Pittsburgh New Music Ensemble for bass baritone and chamber ensemble. The poems are in Brown's collection Breathing In, Breathing Out (Anhinga Press, 2002). Composer Kevin Puts had earlier set Brown's poetry to music but for "Einstein", as he explains, he engaged in "real collaboration from the ground up." Hear a sample. Brown's most recent poetry collection is No Need of Sympathy (BOA Editions, 2013), which was nominated for the Kingsley Tufts Poetry Award. Professor Emerita at the University of Delaware, Brown is the recipient of a number of awards, including a Pushcart Prize, the Felix Pollak Prize (2007), and the Philip Levine Prize (2001). She also has been a finalist for the National Poetry Series. 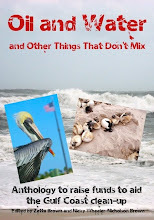 Listen to Brown reviews of poetry at Michigan Writers on the Air.
. . . Reality is not what we marry as a feeling. . . .
* The poem is in Gilbert's collection Refusing Heaven (Knopf, 2005), which received a National Book Critics Circle Award for Poetry. It's a marvelous set of poems. Today's short is the trailer for the Oscar-nominated, feature-lenth animation The Wind Rises. Written and directed by Hayao Miyazaki, the film, the last by Miyazaki, is about Jiro Horikoshi (1903-1982), who designed the fighter planes Japan used during World War II. The film's title comes from a poem by Valery, "The wind is rising! We must try to live"). ✦ Lisa Goesling's finely detailed black scratchboard works, in black-and-white, color, and a mix, are gorgeous. Take a look at just one example, like this three-dimensional catkin, and you'll see what I mean. ✦ Getty Research Institute has released online the Art & Architecture Thesaurus (AAT)®. Read about the Getty Vocabularies. Still to be released: The Getty Thesaurus of Geographic Names (TGN)®, The Cultural Objects Name Authority (CONA)®, and The Union List of Artist Names (ULAN)®. ✦ The biography of sculptor Liviu Mocan (b. 1955) of Romania, who works in bronze, glass, metal, and wood, explains that the artist seeks "to capture something of the mystery when spirit and flesh fused and the God/man dwelt among us for a time." Browse his many beautiful abstract artworks. An excerpt from a film about Mocan, The Liviu Mocan Story (Via Affirmativa), is available in the multimedia section of his Website. ✦ Masterful Canadian paper sculptor Calvin Nicholls includes on his Website a brief slideshow of his paper-making method. Also see his stop-action video in which he creates a hawk. The time needed to create a new piece ranges from four weeks to two years. Nicholls, the subject of many print and online features, has sculpted more than 500 artworks since he began working with paper. ✦ Maryland painter and printmaker Joseph Parra, a 2012 graduate of Maryland Institute College of Art, has a special talent for charcoal drawings. His Carbon Dioxide Man, Without need I and Without need II, and Individuals are visceral, beautifully realized figures that manage to convey a great deal of emotion. ✭ The Morgan Library & Museum, New York City, is showing "The Little Prince: A New York Story", described as "the first exhibition to explore in depth the creative decisions Saint-Exupery made as he crafted his beloved story", written and published in New York City 70 years ago. Running through April 27, the exhibition showcases 25 manuscript pages with Saint-Exupery's revisions and 43 versions of the earliest drawings for the book. Also featured are original watercolors, printed editions from The Morgan's own collection, personal letters, photographs, and artifacts loaned by the Saint-Exupery estate, private collectors, and museums and libraries in France and America. Coinciding with the exhibition is Edition Gallimard's release of a complete facsimile edition of The Morgan's manuscript, Le Manuscrit du Petit Prince d'Antoine de Saint-Exupery: Fac-simile et Transcription. Houghton Mifflin Harcourt is publishing new 70th Anniversary editions (see The Little Prince 70th Anniversary Gift Set). To date, The Little Prince has been published in more than 250 languages and dialects. A program of gallery talks, lectures, discussions, films, and family-focused events are scheduled. ✭ The work of Maine sculptor John Bisbee is on view through May 26 at Vermont's Shelburne Museum, which has a new space for contemporary art. Featured in "John Bisbee: New Blooms" are a series of floral-inspired sculptures fashioned from manipulated foot-long steel spikes welded together; among the pieces is a field of huge steel flowers. Marvelous! 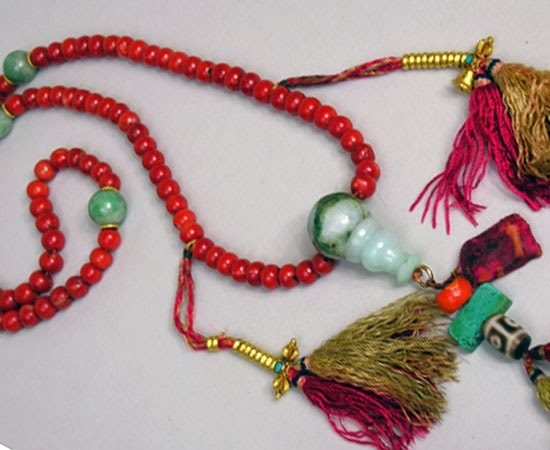 ✭ Prayer beads used in Buddhist traditions of Tibet, Bhutan, Mongolia, China, Korea, Japan, Thailand, and Burma are the subject of "Count Your Blessings - The Art of Prayer Beads in Asia", on view at New York City's Rubin Museum of Art through March 24. The exhibition, which discusses the origins of prayers, their structure, materials and symbolism, and uses, features a wifi-enabled space in which visitors may read and listen to prayer-bead stories. For those unable to visit, the Rubin has create a mobile site that includes an audio tour, an image gallery, and a podcast about the show. ✭ Coming up at Norton Museum of Art, West Palm Beach, Florida: "Industrial Sublime: Modernism and the Transformation of New York's Rivers, 1900-1940", March 20 - June 22. The exhibition will include paintings by George Bellows, Robert Henri, John Marin, Reginald Marsh, Georgia O'Keeffe, and John Sloan. Related events include a curator's conversation and an exhibition lecture, both in April. When I was a girl, I fell in love with darkness. Today, I'm back at Escape Into Life, where I'm privileged to post a new Artist Watch feature. The spotlight is on the wonderful, internationally known "storyteller" in art Cathie Bleck, an artist who is particularly adept in the use of clay board, a product in which kaolin clay is layered thinly over archival masonite museum board. (See Process for information about clay board and how Bleck uses it). The recipient of a Gold Medal from the Museum of American Illustration at the Society of Illustrators, New York City, Bleck is in many public and private collections. I have long been impressed with Bleck's vigorous and masterful and hugely dramatic evocations of the natural world. 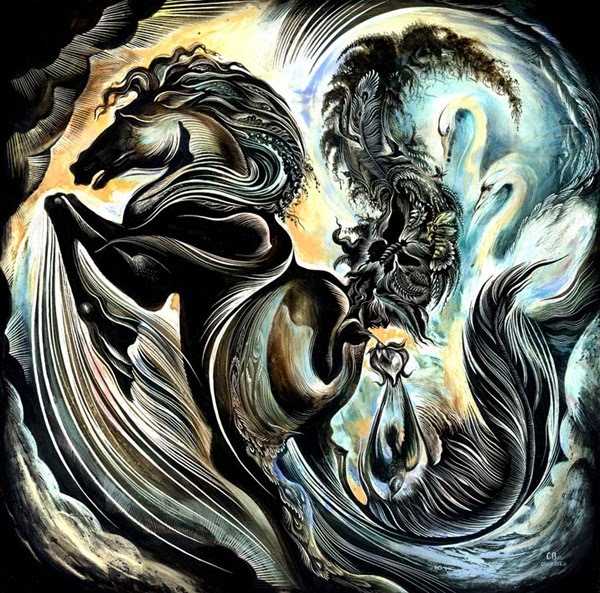 She achieves a remarkably fluid line amid an often-astonishing degree of detail and a finely attuned sense of the interplay between light and dark. Her imagery is a visual feast. In addition to limited-edition prints of her work, Bleck recently has shown her FaceBook followers a line of pillows bearing her signature artworks. She's designed two stamps commissioned by the U.S. Postal Service: "Deer Stamp" (2013) and "Pineapple Stamp", and was commissioned to produce a World Ocean Day (2012) poster for the U.S. State Department. She currently is showing in "Filtered: What Does Love Look Like" at Friesen Gallery. Please join me at Artist Watch to enjoy recent new work. and it can become quite unnervingly noisy. me, the tip of a finger at my eyes. But your voice is porcelain. This is a "found" poem, inspired by L.L. Barkat's prose piece "A Book of Beginnings: Mood". If you've ever been curious about erasure poetry and its practitioners, the video below, "Free Verse: Erasure Poetry Festival", offers an introduction by way of three excellent poets: Matthea Harvey, author of the wonderful Of Lamb (McSweeney's, 2011), a collaboration with Amy Jean Porter, who illustrated Harvey's erasure of A Portrait of Charles Lamb by Lord David Cecil; Janet Holmes, author of The Ms of M Y Kin (Shearsman Books, 2009), an erasure of Emily Dickinson poems; and Travis Macdonald, whose first book of erasure, The O Mission Repo (Fact-Simile, 2008; available through re-sellers), uses The 9/11 Commission Report. All the poets read from their work or explain how they create poetry by erasing text. The Walker Art Center, Minneapolis, Minnesota, hosted the event. My thanks to The Found Poetry Review for the video link. forth for us. . . .
Today's short is the 9:04-minute introduction to Robert Plant's documentary series Zirka, Part 1, Malian Journey. Shot primarily by Plant during his journey to and from Mali to perform at the Festival in the Desert in 2003, Zirka has eight parts. Plant has posted each episode on his YouTube page. ✦ I came across the marvelous work of award-winning Brooklyn-born Gail LeBoff via information about the recently concluded exhibition "Tweet" at the Children's Museum of the Arts in New York City. LeBoff's The Marriage of Trees, comprising archival inks on canvas, is just one example of her fascinating and narratively rich photography. One look at any of her pieces is not enough. ✦ New York sculptor, painter, and installation artist Sarah Hardesty repurposes debris, such as discarded wood, to wonderful effect. Her drawings and paintings are beautiful and deeply thought-provoking. In this video for The Wassaic Project she talks about her work, which, she says in her Artist Statement, seeks "to establish a presence of nature and its connection to the eroding of time." ✦ The metro card collages of Nina Boesch are delightful! Boesch has been creating the collages, comprising cut-up pieces of used and expired New York City subway tickets, for more than a decade. According to her Website, a single collage — all are one-of-a-kind — can require up to 5,000 individual pieces of paper. Boesch accepts custom orders. 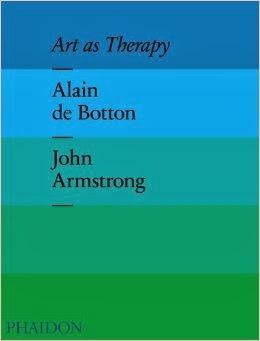 ✦ Alain de Botton and co-author John Armstrong have published Art as Therapy (Phaidon Press, October 2013), a look at how the visual arts can be therapeutic. The Guardian published last month a selection from the book covering, among other artworks, Monet's Bridge Over a Pond of Water Lilies (1899), Sydney Tully's The Twilight of Life (1894), and Richard Serra's Fernando Pessoa (2007-08). ✦ Today's video presents the charming work of illustrator and conservationist Charley Harper. ✭ Nevada Museum of Art continues through March 9 its exhibition "Emilie Clark: Sweet Corruptions", a series of mixed-media installations, watercolors, paintings, and texts "informed by the history of science and natural history", in particular the work of sanitary chemist, home economics founder (in the U.S.), and MIT professor Ellen H. Richards (1842-1911); the show traveled from Lynden Sculpture Garden, Milwaukee, where Clark was a 2013 artist in residence. Included in the exhibition is an interactive Research Station, a sculpture comprising an audio piece, specimens, a dissecting microscope, and terraria. A catalogue is available. The widely exhibited and honored Clark collaborates often with scientists and poets. ✭ Washington, D.C.'s National Museum of Women in the Arts is honoring artist Judy Chicago in "Judy Chicago: Circa '75", on view through April 13. On the occasion of Chicago's 75th birthday (can she really be 75?! ), NMWA presents 13 paintings, drawings, sculptures, and mixed-media works, including a painting from the series Pasadena Lifesavers (1969-70). On Sunday, March 2, the museum hosts "Artist Conversation: Judy Chicago and Jane Gerhard in Dialogue", 5:00 p.m.-6:00 p.m., followed by a book sale and signing. 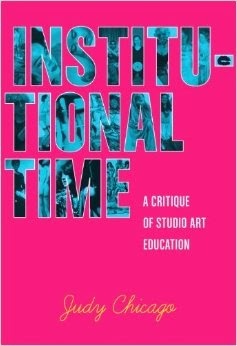 (Gerhard's new book is The Dinner Party: Judy Chicago and the Power of Popular Feminism, 1970-2007 (University of Georgia Press, June 2013) and Chicago's new book is Institutional Time: A Critique of Studio Art Education (The Monacelli Press, March 2014). Reservations are required (http://nmwa.org/mar-2-Chicago). ✭ Painter Josie Vargas's brilliantly hued watercolors, inspired by the flora of Puerto Rico, as well as Mexico and locations at the Bronx Botanical Gardens, are being shown at the Michele & Donald D'Amour Museum of Fine Arts, in Springfield, Massachusetts. The exhibition, "Fiesta: Flora and Fauna from Puerto Rico", is on view through May 11. 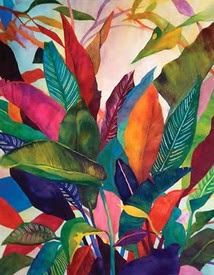 Image Above to Right: La Fiesta, Watercolors on Arches Paper. Vargas teaches at The Fashion Institute of Technology and Parsons The New School for Design. ✭ Recently opened at Pittsburgh Glass Center and running through April 20: "Halfway to Somewhere", a show of work by 2013 resident artists Granite Calimpong and Brent Rogers, both Seattle residents. Calimpong, emphasizing form and surface, mostly creates blown, cold-worked glass; Rogers conveys his concepts via imagery, lamination, and painting on glass. Biographical information and Artist Statements are available at the link. ✭ The multi-media installation Transgressions II (2009) by contemporary artist Nalini Malani, who lives and works in Mumbai, India, will go on view on February 19 at Asia Society Museum, New York City. Running through August 3, the artist's first solo museum exhibition in New York in more than a decade, "Nalini Malani: Transgressions", also will present a selection of Malani's artist books. Malani is the recipient of the 2013 Fukuoka Prize in arts and culture (read profile). Last year she enjoyed solo exhibitions at Galerie Lelong in New York and Fukuoka Asian Art Museum. She is a brilliant and fascinating artist. See Malani's paintings and other work at her Website. and pledge Love on our Best Day. First Kiss melts me away, sugar-free. Text Me, baby. Just Be My Valentine. If Ur Hot, you'll leave me Breath Less. before we Chill Out and Take a Walk? This poem is inspired by the sayings on the Sweethearts® conversation hearts. I use them like magnetic poetry tiles, picking and choosing them at random till I get a poem going. To read another confection, see my "Sweethearts". Today, Thursday's Three presents a trio of poetry- and literature-related items that may be new to you. ✦ CAMPUS | The Poetry School, launched this past fall, describes itself as a social network for poets who want to improve their skills, become more creative writers, and make new connections. Anyone who registers gains access to all content, including the CAMPUS Blog, the contributions of the digital poet-in-residence (appointed each month), live Q&A sessions with poets and writers, writing workshops, an archive of poems, multi-media on poetry and poetics, examples of how poems are drafted and edited, live reviews, articles and interviews, and other online content. An introductory video is available on the homepage. The Poetry School, founded in 1997 to provide high-quality instruction in poetry to poets at any level, is supported by the Arts Council of England and Paul Hamlyn Foundation. ✦ The Baltimore, Maryland-based CityLit Project seeks to create enthusiasm for literary arts, connect readers with writers, and offer youth and diverse audiences opportunities to be exposed to and participate in literary arts. The CityLit Project celebrates its 10th anniversary this year and plans workshops, festivals, publications, and other special events to mark the occasion. ✦ Stanford University's Division of Literatures, Cultures, and Languages sponsors Code Poetry Slams. The DLCL held Code Poetry Slam 1.0 this past November and will present Code Poetry Slam 1.1 this quarter (the submission period for the latter closed yesterday). An interdisciplinary panel of judges weighs in on presentations by slam finalists; cash awards are made. A definition of "code poetry" and examples of code poems are offered at the link. Check the site periodically for its open calls to programmers and poets. Meet today's Wednesday Wonder: Li Hongbo, a former book editor and designer in Beijing, China, who does wondrous things with paper. His human figures are astonishing. The video also may be seen at digg. My thanks to Micalanne Pederson for sharing on FaceBook the link to this impressively skilled paper sculptor. the lure of the muleta. The theme at TweetSpeakPoetry this month is Spanish lace. Alice Walker, the first African American to win a Pulitzer Prize for fiction (for 1982's The Color Purple), is the subject of Beauty in Truth (Kali Films, Ltd.), a feature documentary by writer, director, and producer Pratibha Parmar. Beauty in Truth had its world premiere at the March 2013 Women of the World (WOW) Festival in London; it premiered in the United States, in Oakland, California, in November 2013. More recently, the documentary was shown on February 7 on PBS. Beauty in Truth tells Walker's extraordinary story ― from her birth as the eighth child of sharecroppers, to her celebration as a best-selling writer, to her anti-war activism, and, ultimately, to her acknowledgment as a human rights advocate and humanitarian who in 2010 received the LennonOno Peace Award. The film includes interviews with Walker's siblings, feminist Gloria Steinem, director Steven Spielberg, director Quincy Jones, and actor Danny Glover. Winner of a National Book Award and a Guggenheim fellowship and an inductee into both the Georgia Writers Hall of Fame and the California Hall of Fame, Walker is a poet, short story writer, novelist, children's author, essayist, memoirist, and nonfiction writer. Her most recent published work includes The World Will Follow Joy: Turning Madness Into Flowers - New Poems (The New Press, April 2013) and The Cushion in the Road: Meditation and Wandering as the Whole World Awakens to Being in Harm's Way (The New Press, April 2013). Note: Sunday, February 9, was Walker's 70th birthday. Englewood Review of Books marked the occasion with four videos of Walker reading her poems. injustice and unfairness. . . .
enough a night stick bruises awful deep. in the heart of town, intent to preserve the peace. up to getting off the shots that unforgettable night. Forty years on the whole truth remains disputable. killed, blood ran the same as ours, and it was stilled. February is African American History Month. If you are unaware of the event described here, please take time to watch this brief introduction to the documentary Scarred Justice: the Orangeburg Massacre by Bestor Cram, director, producer, and cinematographer for Northern Light Productions in Boston. Cleveland Sellers, the bystander mentioned and the only one to serve time (seven months), is today president of Voorhees College in Denmark, South Carolina. 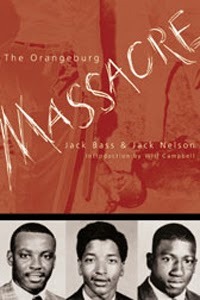 Journalists Jack Bass and Jack Nelson have written The Orangeburg Massacre (Mercer University Press) and consulted on the documentary. SNCC was the Student Nonviolent Coordinating Committee, founded in 1960. Carmichael became its chair in 1966 and the following year "honorary prime minister" of the Black Panther Party. The Jim Crow Museum of Racist Memorabilia is at Ferris State University in Big Rapids, Michigan.